If you're looking for eco-chic, Night Owl Paper Goods is the shop for you! I was blown away by the incredible chic designs that adorn their notebooks, cards, calendars, journals, business cards, wedding invitations, baby announcements, and more! They have adorable animals, geometric designs, and all with a modern-vintage-folksy-Scandinavian flair. I actually spent at least two hours perusing through their offerings on my first visit to the Night Owl Paper Goods website. I think I looked at (and enjoyed) every single item! Not only are the designs amazing, but the fact that Night Owl Paper Goods is so enthusiastic and savvy about taking care of the environment is really inspiring. The fact that they print on sustainably harvested birch wood and 100% recycled cotton paper just adds to the incredible appeal of their already amazing products. 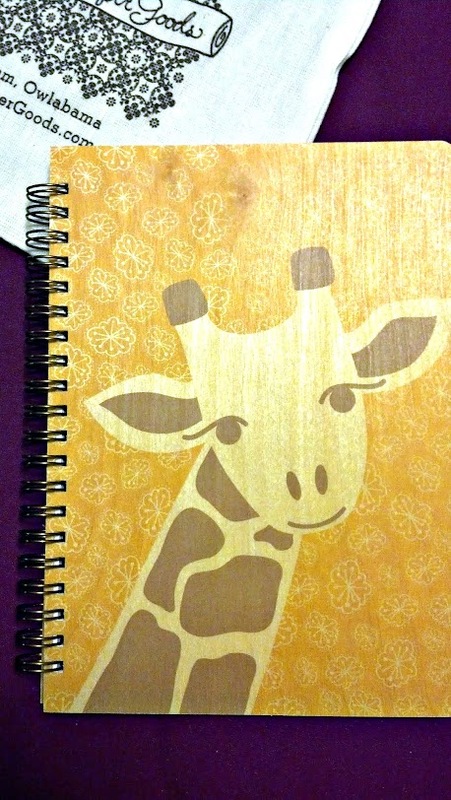 I received a wooden journal (giraffe print) and a wooden jotter notebook (stacked hedgehog print). I was amazed at how smooth and pliable the wood is. It can really bend without splintering at all and it bounces back to its original shape. I love to run my hands over the wood because it's so rare to have notebooks made from wood. I also love surprising people by telling them that it is real wood! 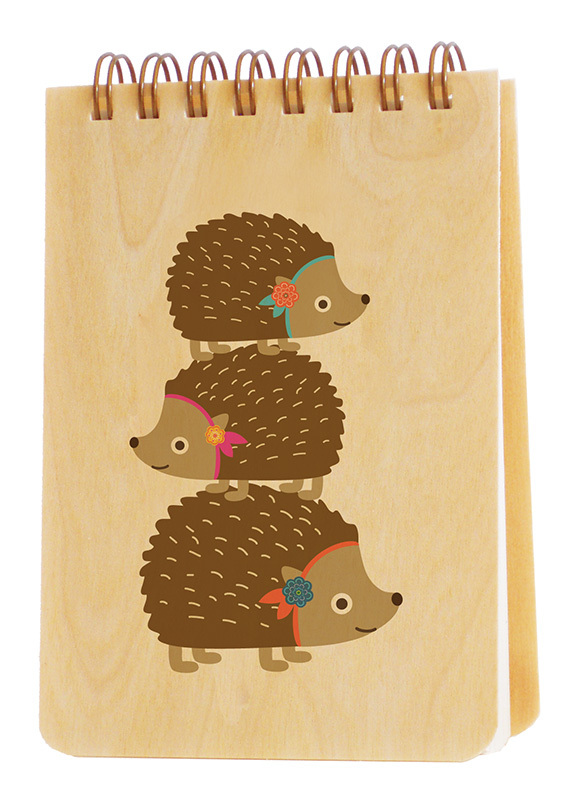 I use my birch wood stacked hedgehog notebook every day at my office at the university. 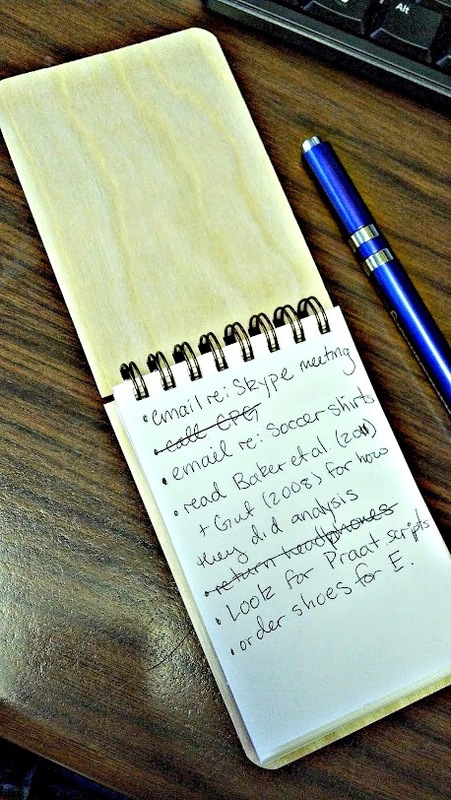 I jot down my to-do lists, notes, and my annotation instructions. The papers rip out very cleanly, and only when I want them to. The notebook is small enough to live in my backpack and travel with me daily from home to office. In fact, the notebook has traveled more than that! I've taken this adorable and handy little notebook with me everywhere for the past few months, from Pennsylvania to Las Vegas, Montreal, and Germany. In each place I visit I always got compliments on my Night Owl Paper Goods notebook. Everyone loves the design on the cover and the fact that it is made out of wood. When I explain that it is also eco-friendly, people are so impressed! The bindings on the notebook and journal from Night Owl Paper Goods are high quality and have not snagged or bent, even with being toted around in my backpack daily. The paper inside is a nice, thin weight and is very smooth. 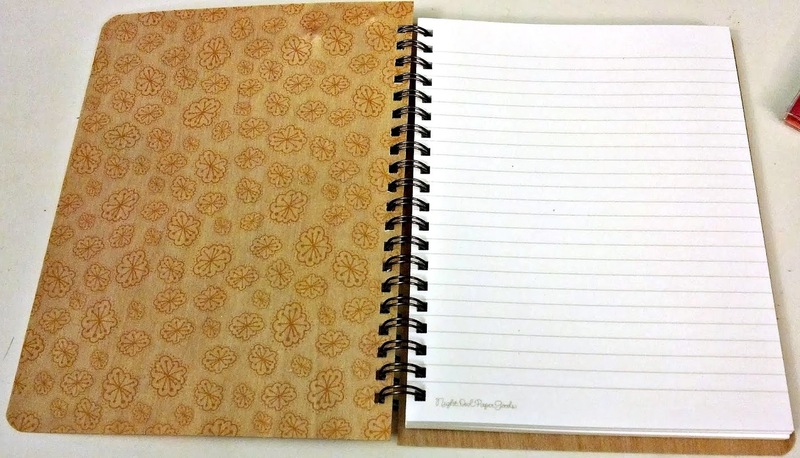 The journal is lined, while the notebook is unlined. Night Owl Paper Goods also makes wonderful greeting cards for every occasion. 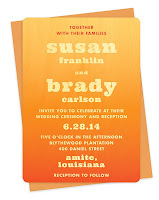 I love the feel of the 100% recycled cotton paper, which is thick and luxurious. 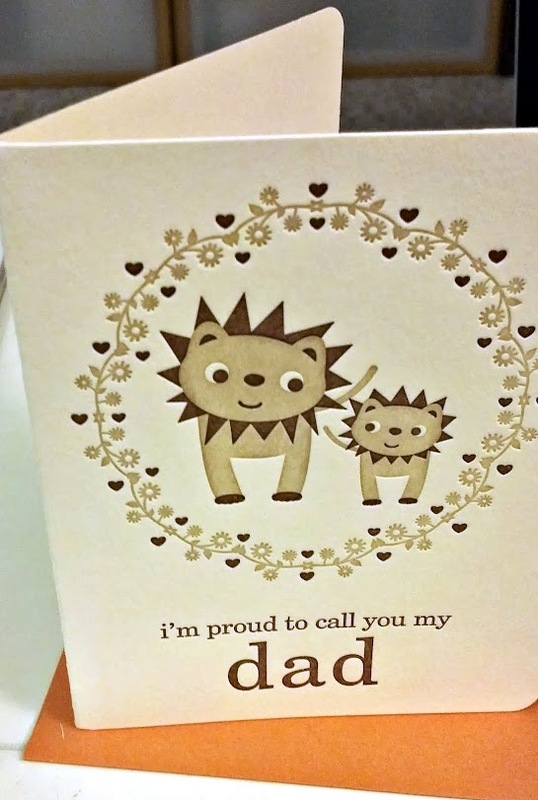 This Father's Day card arrived in the eco-friendly cotton material and I know it will be a big hit. It does not cost any extra to mail. Another brilliant way to make your recycling efforts reach even further is to send one of the ingenious and gorgeous ornament cards from Night Owl Paper Goods. 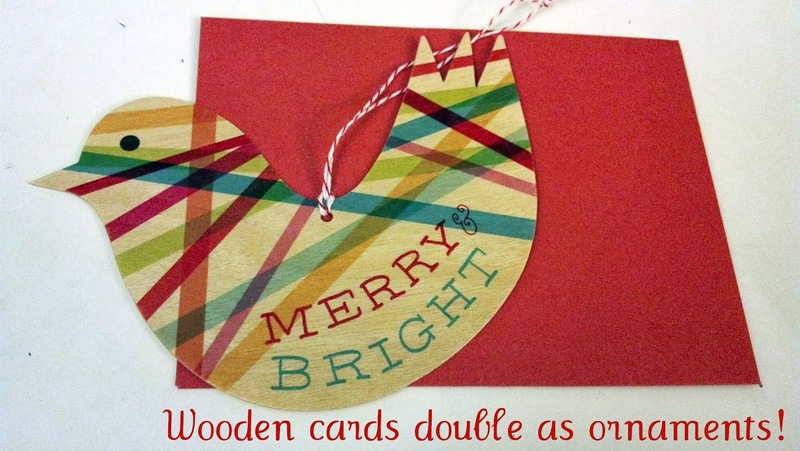 It's a wooden Christmas card that is also a wooden ornament! With regular cards, they are so expensive to just be looked at one time and then they are often discarded and forgotten. In contrast, with the ornament cards from Night Owl Paper Goods, your card and message can live on as a beautiful wooden ornament. (Or the card is 100% biodegradable and can be recycled with paper products.) I simply love wooden ornaments for my Christmas decorations. 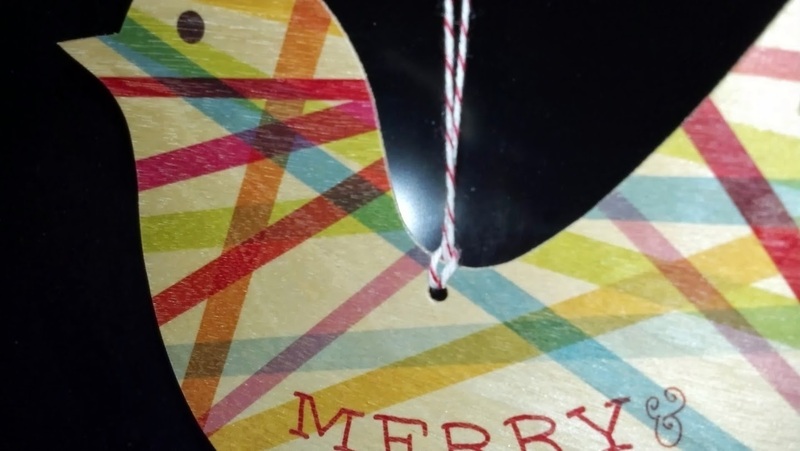 I felt like this wooden bird card really reminded me of my grandmother and I knew that it would be a lovely addition to our home, especially around the holidays. In conclusion, I absolutely love Night Owl Paper Goods! 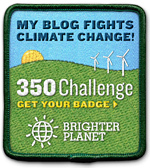 Their designs are amazing and their products are earth-friendly. Customer service has been wonderful (and full of puns!). 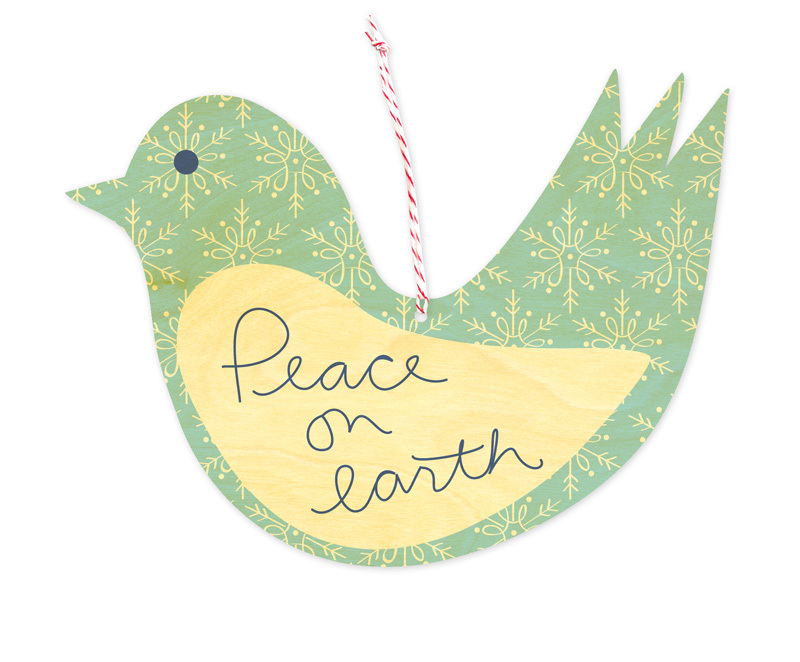 I definitely plan to place orders for Christmas cards/ornaments as well as business cards from Night Owl Paper Goods often. Night Owl Paper Goods creates products that you can feel proud to buy and support.